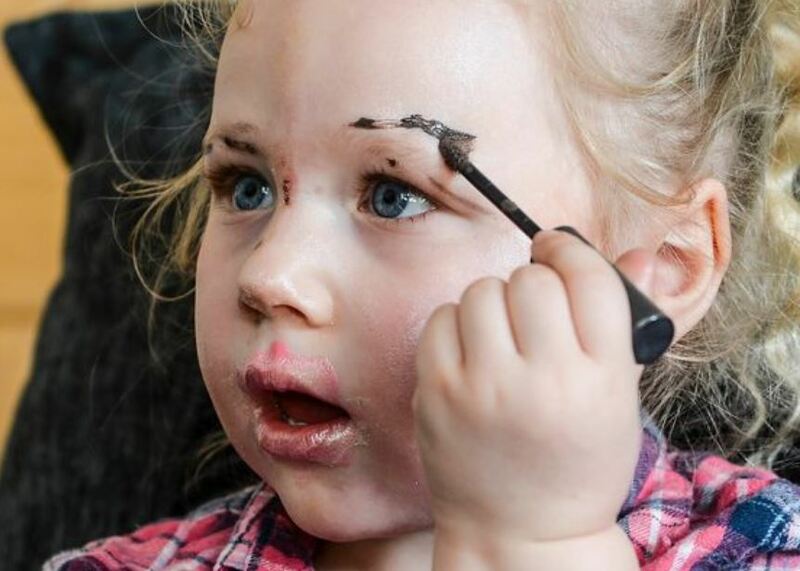 A little girl decided to give her baby brother an amazing TOWIE-style makeover after being inspired by their mother’s look. There’s a few stereotypes that come to mind with the phrase ‘TOWIE-style makeover’. The characters from the reality TV show have a habit of being very well made-up, often with not-so-natural tans, heavy eyebrows and highlighter brighter than my future. 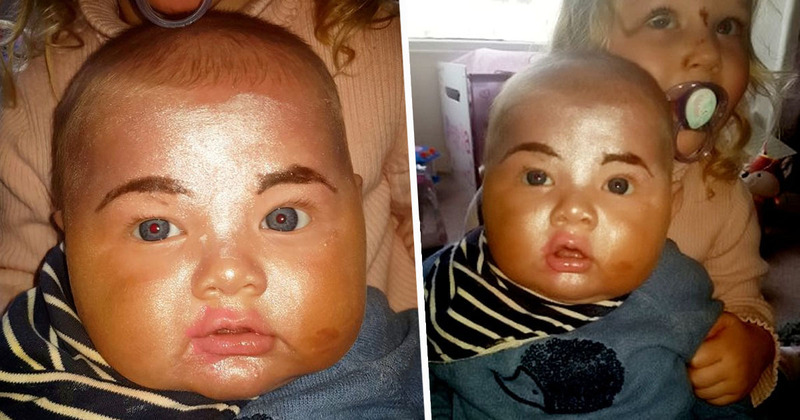 That’s not to say they don’t look nice, but it’s not exactly the style you’d imagine for a little baby. Unless you’re 3-year-old Tiffany Carr, that is. Mum Catherine Carr decided to steal a quiet moment to do some washing, leaving her young daughter watching TV with baby brother Frankie. At least, she thought they were watching TV. I left him fast asleep and she was sat quietly watching her tablet. It was all so nicely peaceful until Tiff shouted ‘mummy come downstairs – I made Frankie look like you’. 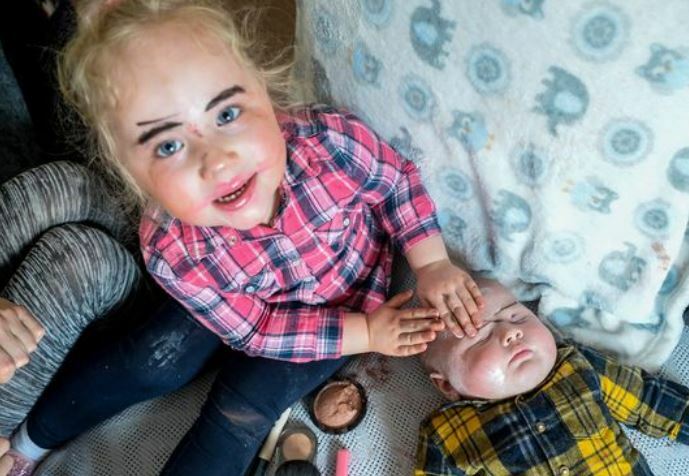 It turns out Tiffany had decided to raid her mum’s make-up collection and get busy transforming herself and Frankie. 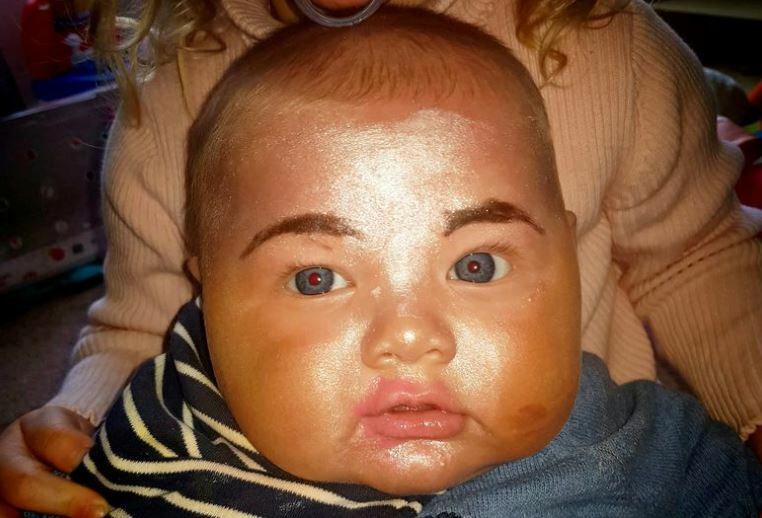 She dusted the baby in bronzer to give him that classic The Only Way Is Essex tan, before throwing on highlighter like there was no tomorrow. She finished the look with some dark eyebrows and red lipstick, before proudly presenting Frankie to her mother. She’d basically piled as much as bronzer onto his face as possible and covered him in highlighter cream. She’d also put my lipstick on him and done quite a good job drawing on his eyebrows with my eyebrow pencil. She seemed to think he looked exactly like me – I couldn’t see it to be honest. Still, the mum couldn’t blame her daughter for trying, and with Frankie ready to become a reality TV star, the situation was far too brilliant to warrant a telling-off. I was mortified, but I couldn’t tell her off – it was just too funny. Some would have told her off, but she’s always doing hilarious things like this, she’s a little legend. 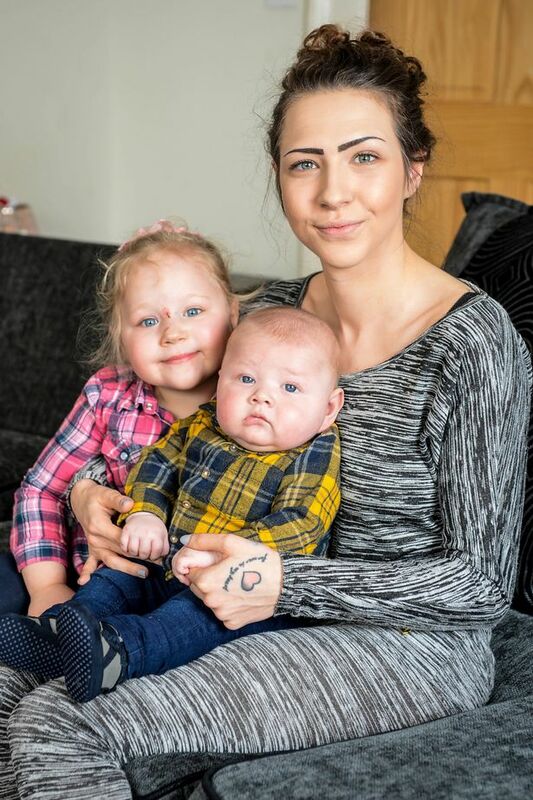 Catherine shared snaps of Frankie and Tiffany to a parenting group on Facebook, garnering thousands of likes from amused parents.